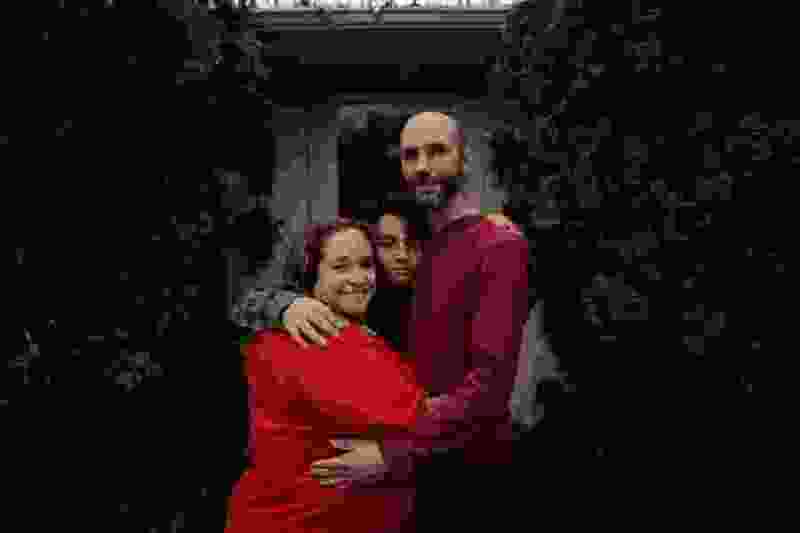 (Luis Velarde |The Washington Post) Sinsi Hernández-Cancio with her husband, William Martín, and son, Líam Martín-Hernández, at their home in northern Virginia. Hernández-Cancio survived a challenging pregnancy. The U.S. has a higher rate of pregnancy related deaths than any other developed nation. Utah ranks 23rd in the nation in maternal mortality, according to the CDC’s 2014 data, the latest available by state. Utah had a rate of 18.3 deaths per 100,000 births. The highest rate was Georgia at 39.3 and the lowest was Massachusetts at 5.8. 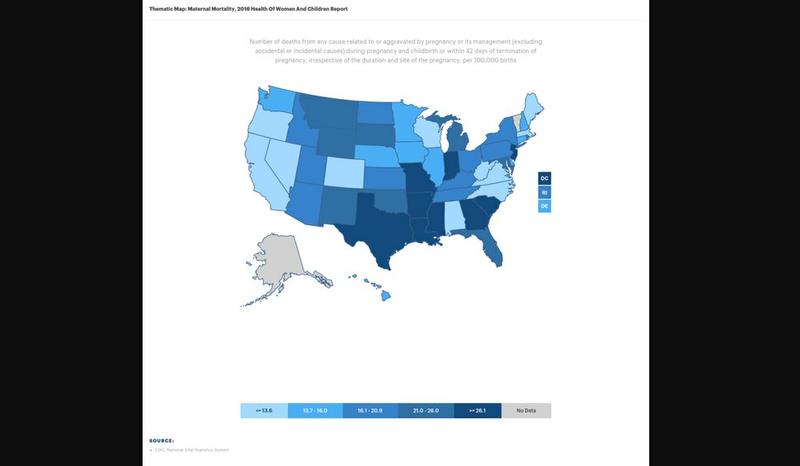 (Courtesy of United Health Foundation) Federal data shows Utah is in the middle of the pack when it comes to the maternal mortality rate. This 2014 data shows Utah is 23rd in the nation with a rate of 18.3 deaths of mothers per 100,000 births. The stunning figures from the CDC suggest that half of the deaths may have been prevented, and that black women are three to four times more likely to die than white women. “When I was first asked the question, do I think that this happened because Kira was African-American, because she was black, I was in so much pain that I couldn’t process the fact that she was no longer here because of the color of her skin,” Charles Johnson said. Months after Kira Johnson died, Charles Johnson traveled to Washington, D.C., and began meeting with lawmakers and activists to enact laws that would help prevent future mothers from experiencing unnecessary childbirth-related deaths. One factor in her death, he said, is that it took around eight hours of pleas for physicians to notice something was wrong before taking her for an emergency surgery.